I've been considering writing a post about this for weeks, well months really if I'm honest. I've kept putting it off partly because I keep finding out new things which change how I feel; and partly because what I want to write doesn't feel very current, very 'now'. It's not a view I read other people expressing. But I can put it off no longer - I just have to put something down, and if I change my view tomorrow, well you can all have a good laugh. I don't want an insulin pump. There. I said it. Now don't get me wrong, I don't think MDI (multiple daily injections) is a perfect system, far from it - it's just that I don't think pumping is perfect either. Swapping a set of difficulties I have come to know and understand for a completely different set that I see pumpers experiencing (or not mentioning) doesn't entirely feel like the brave new world the pump-evangelists keep telling me it is. I do know that pumping has demonstrable benefits for many people with diabetes. I do know that pumping is the current 'new and exciting' insulin therapy. Pumping is cool. But that's not enough for me. Not yet anyway. For those who have no idea what I'm talking about, an insulin pump is a smallish electronic device, similar in size to a mobile phone but around twice as thick. Within it there is a reservoir of insulin attached to an 'infusion set' - a length of plastic tubing (cannula) connected to a longish needle (by MDI standards) surrounded by a big sticky pad. The pump itself often has some electronic wizardry built into it to help you work out how much insulin you might need for a meal. You fill the reservoir, prime the set, insert the needle and away you go. No more troublesome injections. Insulin at the push of a button. 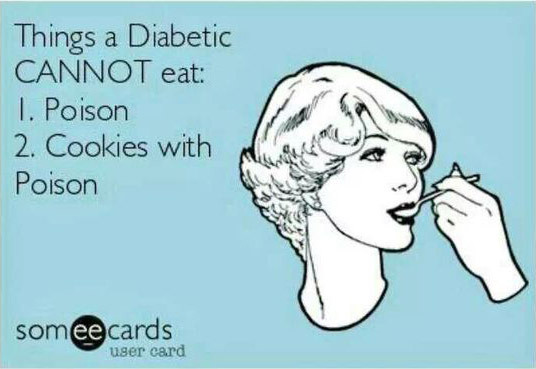 And no more need for different types of insulin either. The 'basal' delivery is taken care of by a programmable trickle of insulin. One type of insulin is all you need. The ability to trickle is, I think, the pump's big win. In terms of insulin delivery they are incredibly subtle devices. Injection pens tend to come in 2 unit, 1 unit or half unit increments. With a pump you can specify increments of 1/40th of a unit, depending on the model. The onboard electronics also allow you to set up very finely-tuned basal (background) insulin delivery profiles. A little more here, a little less there. Carefully balanced to match what your body needs during a 24 hour period. By contrast one or two injections of long-acting insulin a day with an allegedly (though not genuinely) flat activity profile seems preposterously crude, even to me. Going to be a little more active tomorrow? Just reduce your pump's basal profile by 5-10%, or set up a temporary basal rate. Boluses for meals are similarly flexible. The onboard calculator will suggest a dose based on your estimate of carbs in the meal against whatever insulin ratio you have set for that time of day and however much 'active' insulin you have on board already. More in the mornings... less in the evenings... fractional adjustments 1.275u:10g rather than the generous rounding up and down that I go for to make the maths easy. 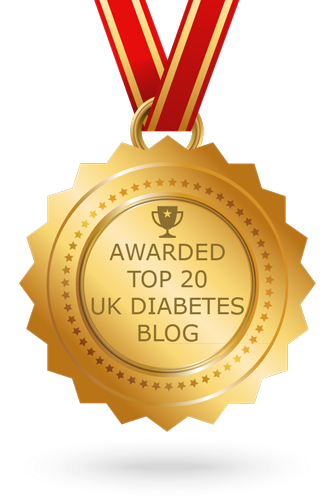 Alison from diabetes blog 'Shoot Up or Put Up' makes a very good case. Her HbA1c (a test to indicate overall control) has never looked better. So, you say, this all sounds very marvellous. Why am I not banging the table demanding one? Why, when pumps were first suggested to me by a consultant something like 5 years ago did I start down my pump-averse road? Why am I being so bloomin stubborn? I hear of pumpers who say they would never go back to MDI. I hear of pumpers who go back to MDI. In addition to all this I'd have to be attached to it. All the time. 24 hours a day. You have to carry it somewhere. I only ever have things in the front pockets of jeans, can't abide sitting, or leaning on anything in a back pocket. Women pumpers clip to their bras (apparently), but for me I suppose it would have to be clipped to the waist band like an 80s style pager. I have visions of a pump yoyoing around my knees as I break into a run, late for another appointment. Night time would be even worse I suspect. I'm what you might call an 'active' sleeper, in that I roll around quite a bit (steady on there). Ellen seems to have taken after me in this respect and has been known to tie a duvet in a knot inside the cover. Quite a skill I'm sure you'd agree, but all my rolling around is not really pump-friendly. I'm not sure what I'd do with a pump overnight... gaffer-tape it to my chest maybe? I am told that these things are not a problem. That after a week or so you don't even think about it, but they weigh surprisingly heavily on me whenever I consider the potentially life transforming benefits of a pump. They also seem to get mentioned when people explain their return to MDI. And then there are CGMSs. Many, but not all pumps come with an added box of tricks. A CGMS (Continuous Glucose Monitoring System). Without one I suspect my overall control might get a little better, but not much. But I am absolutely convinced that a CGMS would make an enormous difference to my control. The system involves placing a small sensor under the skin which communicates wirelessly with a monitor (sometimes integrated into the pump itself, sometimes a separate unit). The CGMS records glucose levels every 15 minutes or so. Rather than the blood plasma used in fingerstick tests, CGMS systems are measuring the glucose level in interstitial fluid, so the results lag 10 or 15 minutes behind 'actual' blood glucose levels. Users tend to continue to use traditional meters to calibrate the CGMS and check results a few times a day. Crucially though, because the monitoring is constant, you get not only an indicative one-off level, but almost as important, you get information about whether you are stable, or rising, or falling and at what rate. You can be alerted when you hit a predefined level and make a decision on what measures to take based on how quickly things are moving and in what direction. 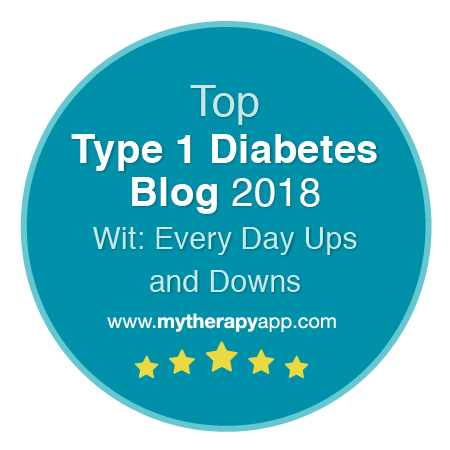 No more correcting for hypos that never were. No more suddenly discovering you've massively spiked after a meal and have been in the teens for hours. Alarms that alert you if your levels drop at night. More information. All the time. And because a CGMS is wireless, you can keep the device itself wherever is convenient. Bedside table, coat pocket. There's no piece of string joining you to it and getting tangled up on things. We found no difference in low subcutaneous glucose frequency between the 2 treatment arms, nor between MDI and continuous subcutaneous insulin infusion users. I don't know why it is that you can have 2 expensive treatment options (pump and CGMS combo) on the NHS, or just a pump, but not a CGMS on its own. But I'm going to ask. We've just returned from a great two weeks away. This year we gave the kids the choice of three different holidays. Options included a fortnight by a beach, a short break in Switzerland, but the winner was a combo of a week in Ironbridge in Shropshire, followed by a week in the Lake District. Holidays are always a bit of a juggling act diabetes-wise. You are completely out of routine, you eat out far more often, wine flows, ice creams and treats beckon. Thankfully Lantus continued to behave itself back in its morning slot. Staying in the UK meant there were no pesky time-zone issues, though I did have to gradually shift my injection time to suit our more relaxed holiday breakfast timing. Thankfully my first blood test of the day was pretty much spot-on most days. I even managed a little experimentation with post-breakfast spikes. I've settled on a new slightly higher insulin:carb ratio taken 20-30 minutes before breakfast, depending on my fbg (pre-breakfast) level. 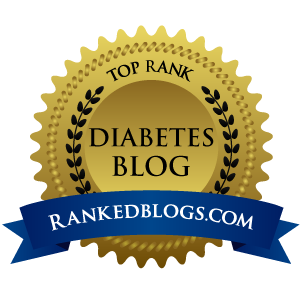 An hour or two after breakfast was mostly in the 8-10mmol/l region which compared to some recent disastrous readings felt pretty good. The other thing about holidays is all that great wandering about you can do. Ironbridge is absolutely packed with things to look around, and it's almost impossible to visit the Lakes without doing some kind of walking about. The benefit of this, of course, is that you can sneak an occasional ice cream or cake to keep your levels up, without having to worry about injecting. Either that or I just gradually worked my way through a pocketed packet of Fruit Pastilles during the day. At Blist's Hill (the Victorian Town museum close to Ironbridge) I even managed to win a Sherbert Fountain by knocking it off a shelf with a pop-gun at the Victorian funfair. Initially I was a bit disappointed that these now come in a plastic tube, rather than wrapped in yellow paper, but the benefit was it lasted in my pocket until a wander around Ambleside and Skelwith Force. I'd forgotten all about Sherbert Fountains... Hypo prevention has rarely been so much fun. It was like being 8 again.